Poacher arrested with bush meat. The poor man living in a hut with a pregnant wife and 3 skeletal children. One perhaps with a tear running down a sunken cheek, the wife begging the husband to find them enough for a meal. Finally, in exasperation the man reluctantly sets off on a dangerous, one-time mission to take part in killing an elephant or rhino. The few dollars will feed his hungry family for a week (if he makes it back alive). Is this what you imagine when you think of a poacher? Think again. Although poverty is one aspect of poaching and can be a reason, it does not account for all of it. In fact, wealth is the driving force behind the most destructive killings: mainly our elephants and rhinos. 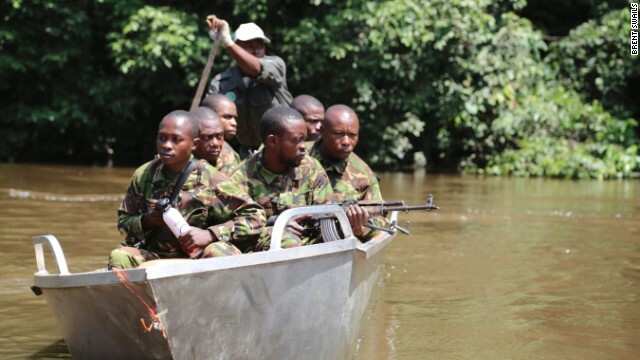 1) Subsistence Poachers – they target small game, have low technology, and hunt for food. 2) Commercial Poachers – they operate with organized groups for rare animals (elephants/rhinos) and utilize advanced technology. 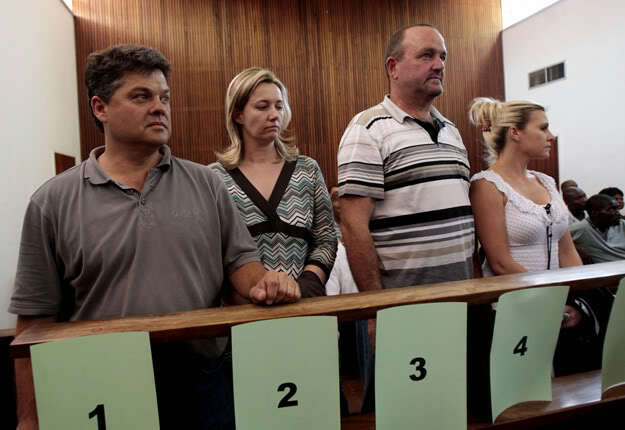 S.A. Game farmers convicted in rhino poaching ring. Individuals who poach in poor communities are doing it for one of two reasons. Either they need the meat, in which case it is usually smaller animals who typically do not have as much effect on the ecosystem, as it is usually less often. Or there is a wealthy source seeking parts from an animal, such as the ivory of elephants or horn of rhino, and this has a more devastating impact on the environment. In the second case, obviously without the demand, there would be no poaching. 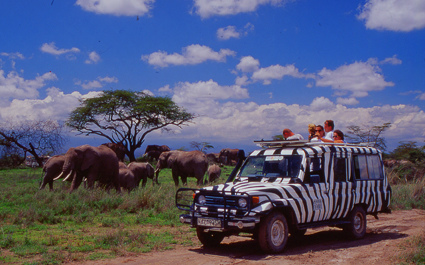 In 2012, the wildlife monitoring network Traffic, issued a report showing a direct correlation between the rising income in Vietnam and the rising demand for ivory and horn. In addition as a use for “medicinal cures”, it has become the status symbol of the elite in Vietnamese society, used during business deals and social gatherings, the rhino horn is ground to a powder, mixed with water and drunk. With horn and ivory worth their weight in gold, it is the prized commodity taken and sold by everyone who can get their filthy hands on it. So while the rich business men are vying for ego boosts in Vietnam, there are poaching syndicates taking advantage and making this a business of their own. These syndicates are equipped above and beyond the occasional villager poaching for his family, they have militia training, equipment and resources at their disposal. 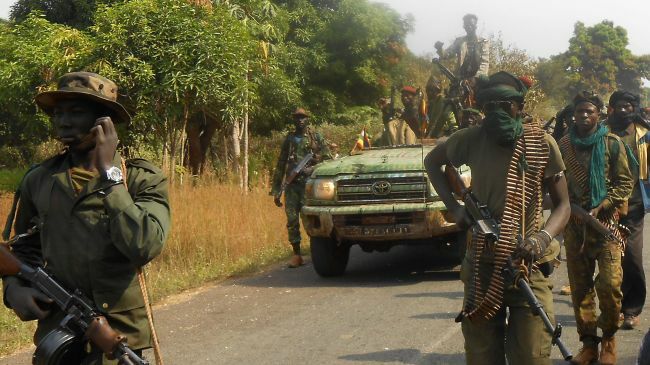 Seleka rebels: The CAR president has ordered the dissolution of the group. Some of these groups are involved with organized terrorist groups such as Somalia’s Al-Shabab, the Lord’s Resistance Army (LRA) and Darfur’s Janjaweed. One group in Sudan, the Séléka rebel coalition is suspected of the 2013 mass slaughter of 26 elephants at the Dzanga-Ndoki national park in the CAR. The previous year, the same group was responsible for 300 elephant deaths. In addition to subsistence and commercial poaching, in a 2013 study done by Evidence on Demand, the lines sometimes become blurred into what they term as a hybrid poacher. For example: the rise in commercial hunting for bushmeat shows how traditional subsistence poaching has been transformed in response to the arrival of logging companies in remote forests where a workforce has to be fed. Likewise, the Chinese construction camps who allegedly seek ivory, and possibly bushmeat would fall into that category. Sophistication, technology, and an expanding market make for ambitious and deadly modern-day poachers. But poaching has no ethnicity, age or economic barriers. It is an equal opportunity evil in which the end is always the same. With 96 elephants and nearly 3 rhino a day being slaughtered, it hardly matters WHO is killing them, just that they are. #3) Trade is Not allowed. 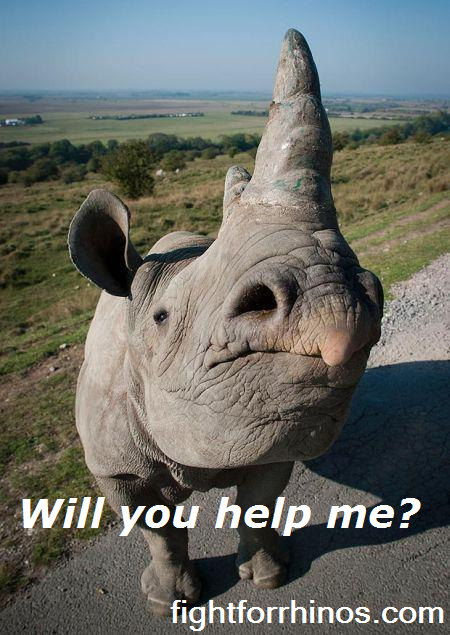 In order to make up for lack of profit, will the “farmers” sell their rhinos off to trophy hunters? 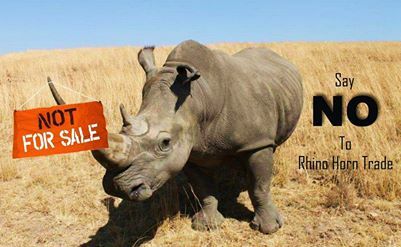 Will they be sold off to the highest bidder (who may happen to reside in China or Vietnam (where there are already rhino “farms”)? If trade passes, they’re doomed, if it doesn’t will we see them traded/sold anyhow? 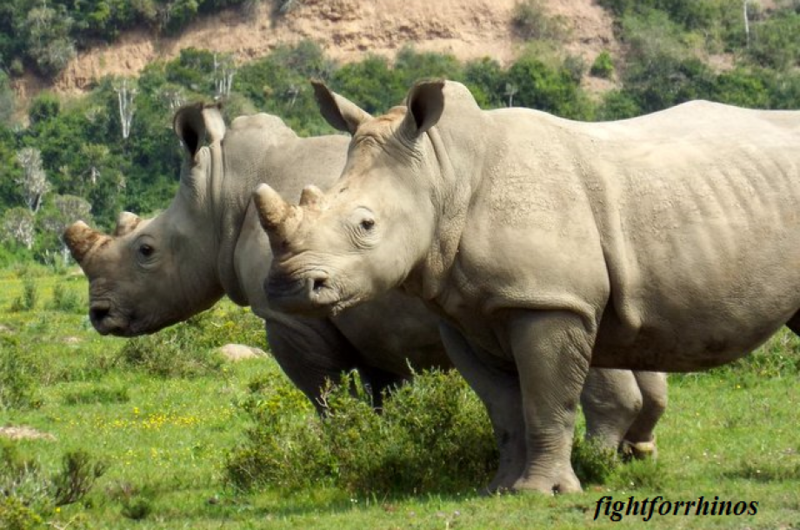 If money cannot be made through horn trade, will the SA government up the ante and increase the number of “big game” hunting permits handed out? 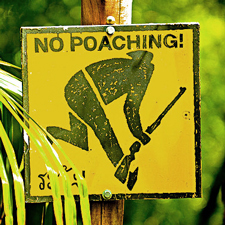 Will they still make attempts to prevent poaching? 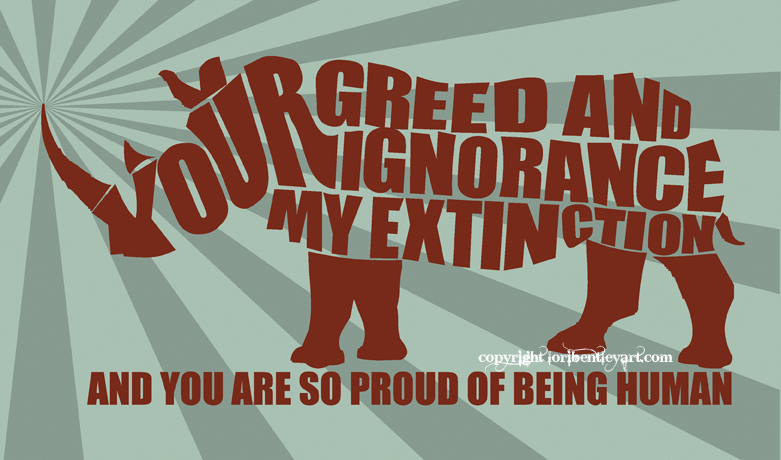 Sadly, it seems there is no great solution, our rhino are living in a bloody sea of corruption. Caught up in man’s greedy grasp, killed for parts of their bodies, being stomped out in the name of ignorance. It is only through taking a stand we give them a voice, continue to fight and NOT stand by in passivity. 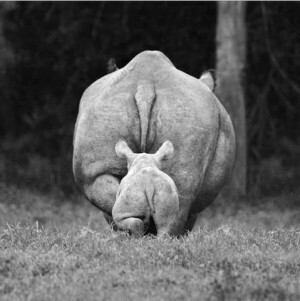 For more information on trade vs no-trade in rhino horn, please see previous posts: To Trade or Not to Trade and Kill the Trade or Kill the Rhino. Finally someone has brought serious attention to the public eye on the lucrative illegal wildlife trade, the 5th biggest avenue of corruption and criminal activity in the world. 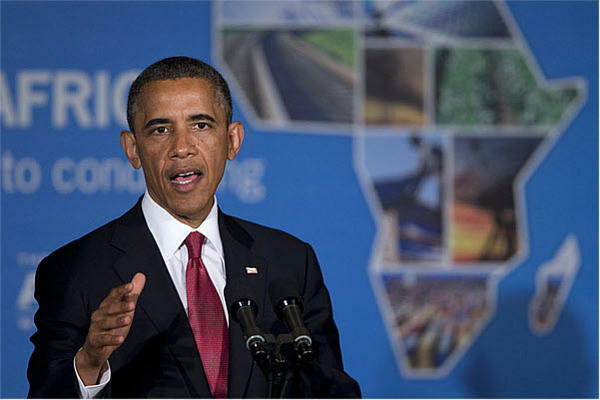 Upon his visit to parts of Africa, President Obama announced his wildlife initiative plan. Obama’s new campaign to fight wildlife trafficking includes an executive order, $10 million in funding, a task force and a presidential advisory council. The campaign will focus on helping affected countries establish and enforce better trafficking laws;, supporting regional cooperation; training their police and rangers; and beefing up their law enforcement and intelligence-gathering capacities. It will also use a new “Transnational Organized Crime Rewards Program” to offer bounties for poachers and push for more modern technologies to identify and capture them. The issue has also been presented with China in an effort to address the demand side of the trade in animal parts, primarily rhino and elephant. Both President Obama and former Secretary of State Hilary Clinton have discussed this with them. It means the U.S is publicly going on record to show no tolerance for the continued decimation of animals on our planet, as well as putting emphasis on the seriousness of the criminal syndicate. Now valued between $7 billion to $10 billion a year, the lucrative trade funds many corrupt operations i.e. 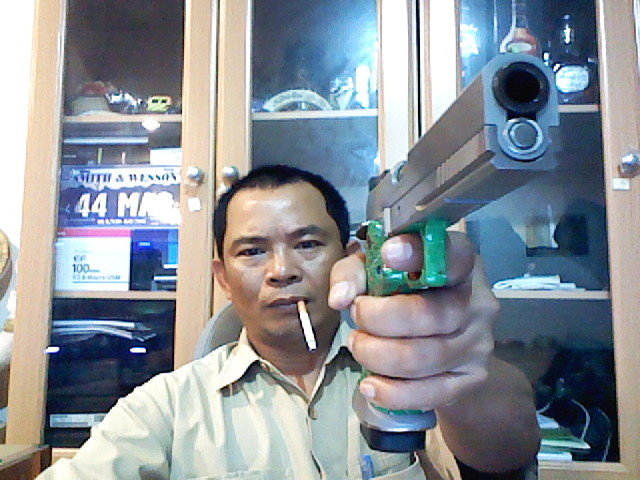 drugs, human trafficking, weapons, and gang activity. The U.S is second only to China in partaking in the black market of wildlife trade. This admittance and commitment will step up regulations here, as well as setting the bar for the rest of the world. 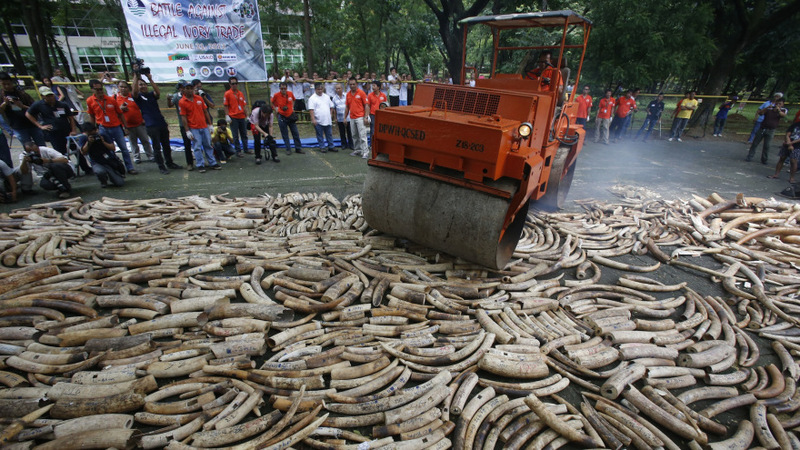 In a monumental move to battle the illegal wildlife trade, the Philippines were the first Asian country to publicly destroy it’s stockpile of ivory. On Friday it started the destruction of 5 tons of seized ivory. Although on the surface, they are sending a strong message, according to DENR’s Protected Areas and Wildlife Bureau, there are still 8 tons unaccounted for. There is currently an investigation to determine its whereabouts. Shortly after Obama’s’ visit, South Africa announced plans for a one-time selling of its stockpile of ivory. Ironic this should come on the heels of the President’s visit. The debate on legal horn trade rages on, but the timing of this decision seems to undermine the seriousness and conviction of the statement from the U.S.
With the U.S. and even the Philippines stepping up, it seems momentum is on the side of wildlife. So why wouldn’t S.A. simply destroy theirs as well? History has proven legal trade does NOT work. In 2008 the ban was lifted on ivory, which opened the flood gates and escalated elephant poaching , which they are still being massacred for. Repeating this for the rhino would be the same disaster. Please let your voice be heard. 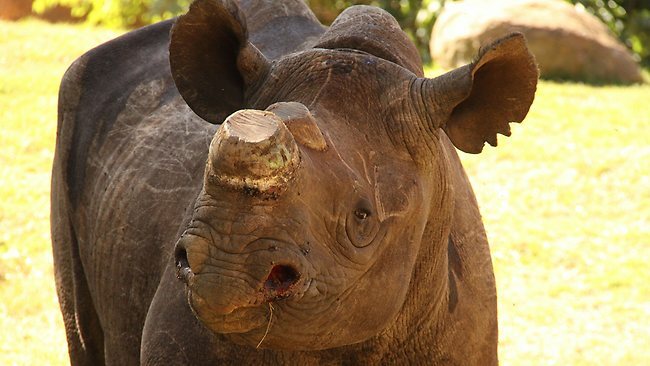 South Africa’s move toward petitioning CITES to legalize the rhino horn trade will decimate the species..
Veterinary team prepares to dehorn a rhino. With a checklist like this, we could be talking about an army. 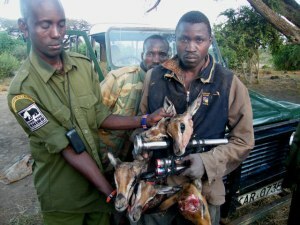 Yet it is also the equipment used by the modern-day poacher. With the horn fetching more on the black market than cocaine or even gold, everyone wants a piece of the pie. The low-level men who DO the poaching are being funded by higher level organizations with whatever supplies are necessary to bring in the “goods”. The level of corruption runs far and wide. Militias, rebel groups, intelligence officials, Irish gangsters , Vietnamese diplomats, Chinese scientists, copter pilots, antiques dealers and recently an American rodeo star who used Facebook to find horns, are all getting their hands dirty with poaching. Even Thai prostitutes and pimps are getting involved. The prostitutes were hired by a criminal syndicate to obtain hunting permits (through some loopholes) and got “professional” hunters to make the kill and bring in the horn. Of course poverty-stricken villagers often turn to poaching to support their families. 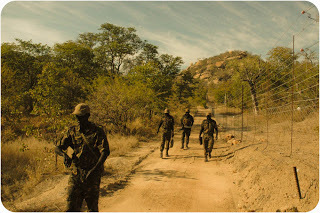 A corrupt minority of game farmers, professional hunters, and safari operators are involved as well. But what I believe is the highest level is betrayal is the involvement of veterinarians. The veterinarians who work with large mammals have access to M99-a drug that is 1000 times more powerful than morphine. The supply is restricted, and supposedly only accessible by vets. 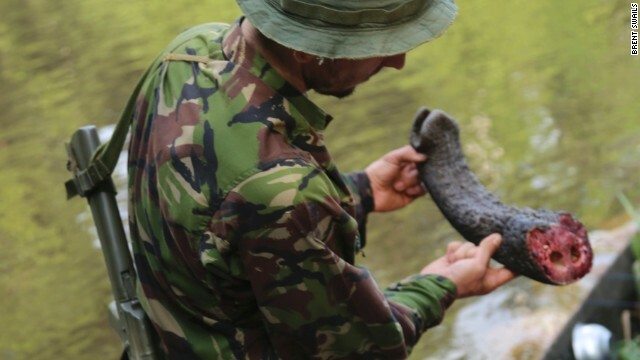 Yet somehow poachers are getting their hands on this potent tranquilizer. The majority of vets work tirelessly and fervently , giving the victims of poaching round the clock care and treatment to save their lives. 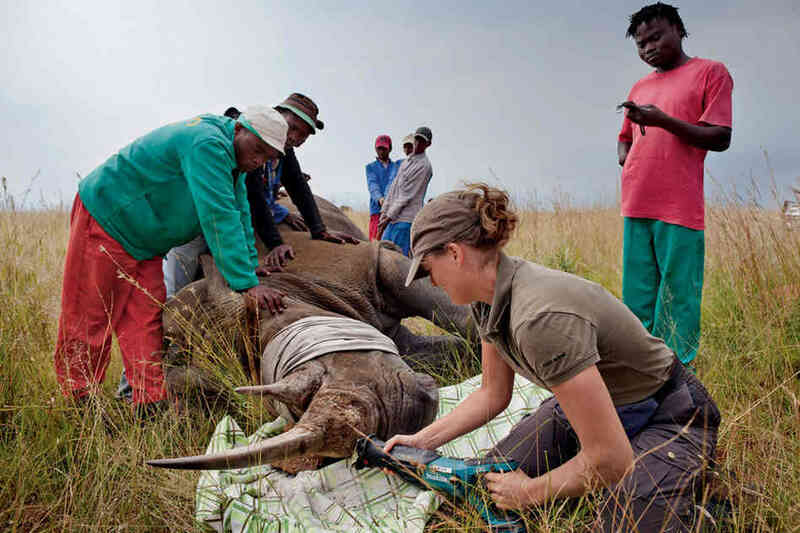 Along with the rangers in the anti-poaching units, veterinarians ARE the foot soldiers in this war, an integral part of rhino and elephant survival. As a former member of a veterinary staff, I know all too well the highs and lows of the job. There is no 9-5, no glory, and certainly not a high level of pay. But where is their passion? Their hearts have hardened, their patients betrayed in the name of greed; an unforgivable evil.